You take excellent care of yourself – you get 8 hours of sleep a night, you always wear your seat belt, and you exercise at least 3 times a week. But is there anything you’re missing? What about your most important physical feature: your smile? Even if you take excellent care of your teeth at home, there’s no substitute for professional treatment from your dentist in Carlsbad. 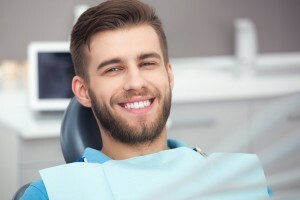 In this post, learn why routine dental care from Dr. Megan Shelton at Polished General Dentistry is so important for your pearly whites, as well as your overall health. Why Is Oral Health Vital To Overall Health? Heart Health – Research suggests a link between cardiovascular disease and gum disease, and oral bacteria is even a direct cause for endocarditis, a serious infection of the endocardium, or inner lining of the heart. Pregnancy Issues – Both low birth weight and prematurity have been connected to poor oral health, so taking care of your smile can help keep both expecting mothers and newborns as well as possible. Nutrition – Remember, your teeth are the first part of your digestive system. Tooth loss, gum disease, and even sensitive teeth can impact the nutrition you receive, which makes sense – if your teeth aren’t in tip-top condition to chew vegetables and fruits, it’s more difficult to nourish your entire body. Prevention & Diagnosis – Routing dental care, including checkups and x-rays, are crucial to finding and stopping disease in their early stages. A professional oral exam can diagnose over 120 medical conditions, including oral cancer, diabetes, and osteoporosis. How Can I Safeguard My Smile & My Overall Health? 2×2 – Brush your teeth gently for two minutes, twice a day. Floss at least once a day (although twice is better). Eat Right – Your teeth are nourished both inside and out by the foods you eat, so limit cavity-causing sugar, and increase your intake of vegetables, including leafy greens that are chock full of calcium, and low-fat dairy products. Cheese is especially great because it helps make your tooth enamel stronger. See Your Dentist – X-rays and professional checkups help get the full picture of your smile. Even if your grin seems healthy from the outside, it’s crucial to make sure problems aren’t lurking beneath the surface. See your dentist every six months to stay on top of your oral and overall health. Quit Tobacco – Smoking and using tobacco in any form is a surefire way to develop bad breath, gum disease, oral cancer, and other serious systemic health issues. Talk with Dr. Shelton if you need help quitting – we’re here to help, and we’ll never make you feel judged. If you use the tips above, you can be well on your way to increased well-being in your smile, as well as your entire body. Schedule your appointment with Polished General Dentistry to make the most of your pearly whites!